For the past several months, I sought activities to even temporarily distract me from the stress of my current environment. With my family and most of my friends thousands of miles away, I could only rely on my Father and running to keep me from going insane. Without any hesitation, I signed up for my third 26.2 miles at the Nebraska State Fair Marathon on August 27, 2016, in Grand Island, an hour east of where I work and reside. “I will be in immense pain physically, but I will be so elated mentally,” I told my close ones to justify this crazy decision. The race commenced at 6:30 AM in just over 60 degrees, my ideal temperature for long-distance running. The course, as advertised, remained primarily flat on concrete, and I felt confident I was running my most successful marathon yet. For over a year, I have been dreaming of running a hundred miles, one of the reasons I signed up for this marathon to prepare; towards the beginning of the marathon, based on how strong I felt, I believed I could potentially materialize this objective in the near future. Right then, I felt the Holy Spirit tell me, “Remember how you are feeling now,” which I took to mean I will hit the wall at some point in the race and be humbled. In spite of trying to maintain a slow pace, I hit 13.1 miles just over 2:02:00, barely slower than my personal record (PR) in the half marathon. I hoped to finish under 4:20:00 but also worried I may have mistakenly given too much in the first half, although I still felt as fresh as new. On mile seventeen, whether from the sudden temperature increase from the sunrise or over-pushing too early, I abruptly hit the wall. Still on track to easily break my PR set in the 2015 Publix Georgia Marathon, an exponentially more technical course, I began to incorporate walking; I figured combining walking and running would conserve my energy and grant me a faster finish time than running the rest of the course in virtual walking speed, which I did in the Georgia Marathon. Furthermore, due to immense dehydration, I overconsumed water and Gatorade and could see my stomach bloated; running simultaneously could have damaged my liver and worsened the hardship. 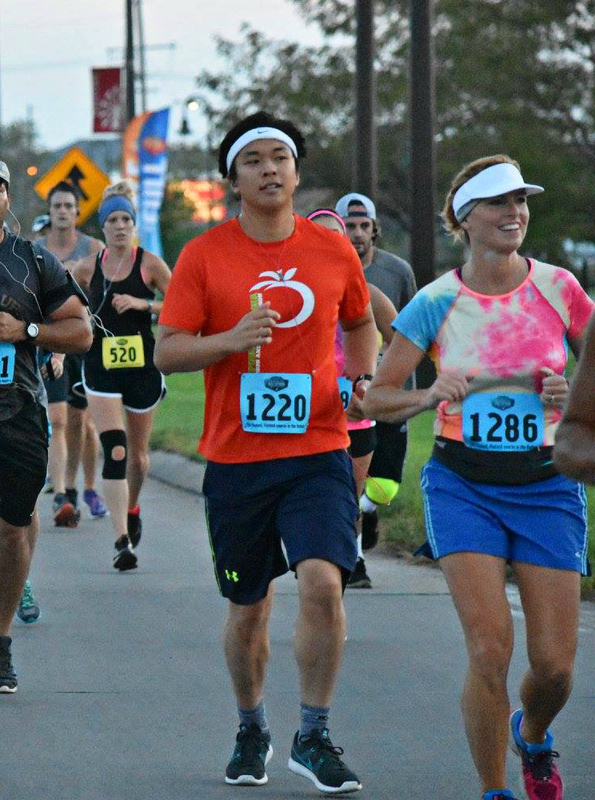 Nearly two miles left in the race, no matter how hurt, I knew I had to pour everything I had left to break my PR. My mother’s telling me the night before the race to compare the marathon to life, that “sometimes life is easy, sometimes it’s hard, and sometimes you want to give up, but in the end, joy awaits,” powerfully hit me. After 26.3 miles, slightly over the traditional marathon distance, I crossed the finish line in 4:45:37, my marathon PR by seven seconds. With the finisher’s medal around my neck, I sat on the ground, momentarily disappointed. I attempted to rationalize why I bonked so early on and even thought, “How on Earth was I able to run 51 miles?” Nevertheless, my sense of gratitude swiftly took over and I began thanking my successfully completing another marathon without any injuries, setting a third PR in my third race this year, not dealing with stomach cramps like I often do, and having the health to frequently pursue daunting adventures like this, all of which I consistently prayed for prior to the competition. One lady in the marathon relay shook my hand and offered me her congratulations, saying, “I tried so hard to pass you, but then I thought, ‘What am I thinking? I’m only running 6 miles and he’s been running for 26 [point 3] miles.’ I can never do what you did. You’re the professional.” Especially following her modest compliment, I could not be arrogant to hold any regrets. Following the award ceremony, I spoke with Kenyan Geofrey Terer, two-time Nebraska State Fair Marathon champion and record-holder. 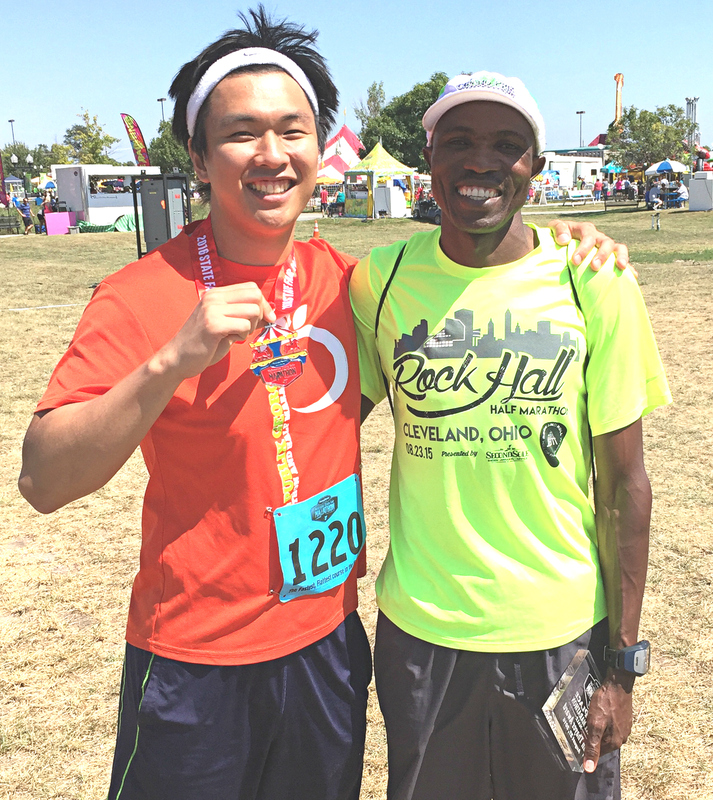 He finished the race in 2:25:44, almost twice as fast as my time and beyond my comprehension. More than his athletic ability, however, I truly enjoyed his humility and bright personality. I also twice ran into Kaci Lickteig, winner of the female division, 2016 Western States 100 champion, and one of my favorite ultrarunners. She humbly asked me how I did, and I replied, “It was a humbling experience,” to which she reminded me to be proud of simply finishing. I cannot think of a more pleasant way to cap off this experience than talking to these two respectful champions.